Make these fun Halloween Appetizer Monster Sliders! 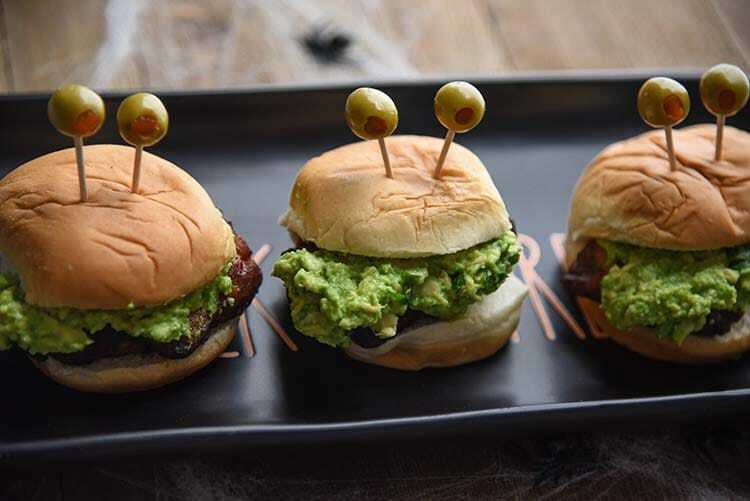 Mini Sliders with seasoned chicken thighs, guacamole, and fun spooky monster eyes! 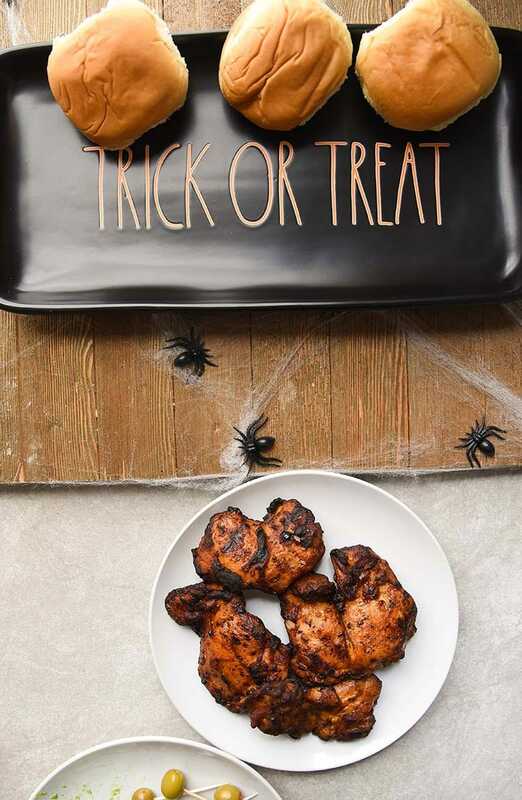 Halloween is my favorite time of year to have fun with family decorating and of course, watching scary movies, but my favorite part of all is spooky eats! 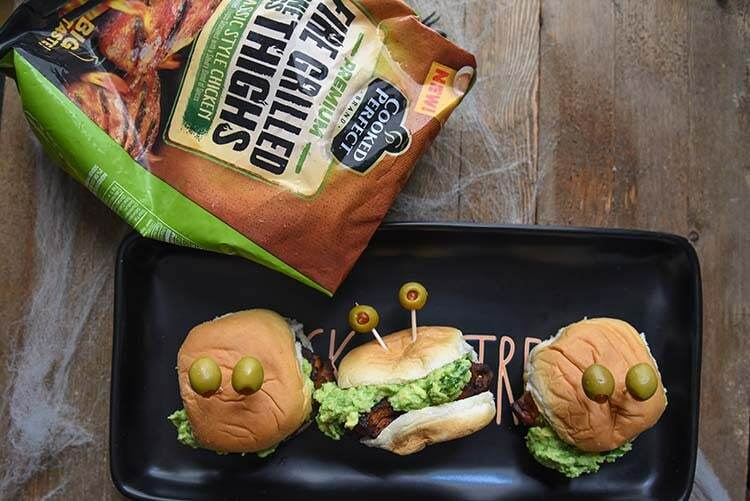 Now that my daughter is older we have so much fun making tasty recipes together and our Halloween Appetizer Monster Sliders are fun for everyone! 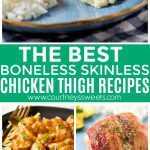 I start off with Cooked Perfect® Fire Grilled Chicken Classic Boneless Thighs. I put them into the oven for about 18 minutes total and once they’re fully warmed up I start to assemble. While they’re cooking in the oven I made my guacamole “vomit”. 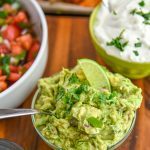 Kids can be picky with avocado if there is raw garlic and onion so to keep this kid-friendly I only use a few ingredients like granulated garlic, granulated onion, salt, fresh lime juice, and a little fresh cilantro. 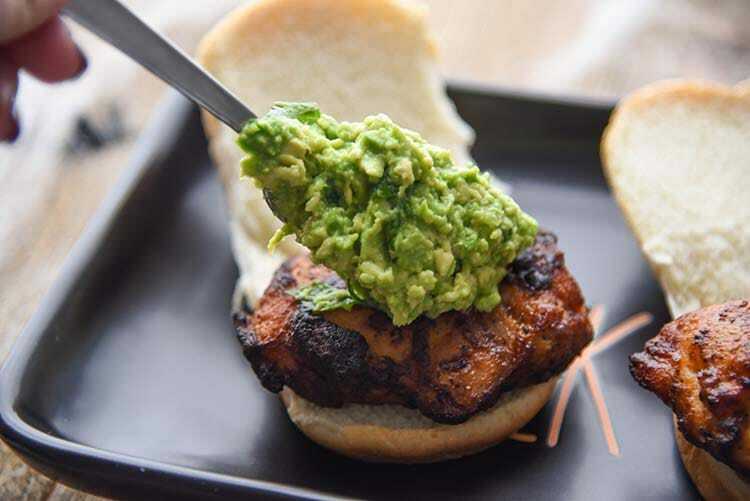 The chicken is so flavorful that you don’t need to go too crazy with seasoning the guacamole. By the time I’m done making the guacamole and eyeballs the chicken is ready to go! 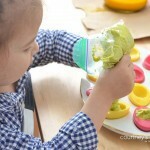 I place them onto some fresh slider buns and then top with guacamole. Place the top of the bun on them and then get sticking the eyeballs in! My family got a kick out of these fun little monster sliders. They’re really fun for the whole family and so easy to make. 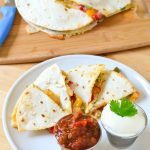 The tender juicy chicken thighs are perfect for these sandwiches and it pairs well with the guacamole. If you don’t like guacamole you could even put on a slice of cheddar cheese. We just really like the color of the green avocado and of course the creaminess it gives to the slider. I really appreciate the ease of making this recipe. I don’t have to season the chicken at all and literally just place it into the oven. It cooks up perfectly and one thing I really appreciate is it’s already fully cooked! That means even less cooking time. 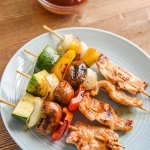 Since the chicken is fire-grilled it has TONS of flavor and it’s all locked in with its natural juices. 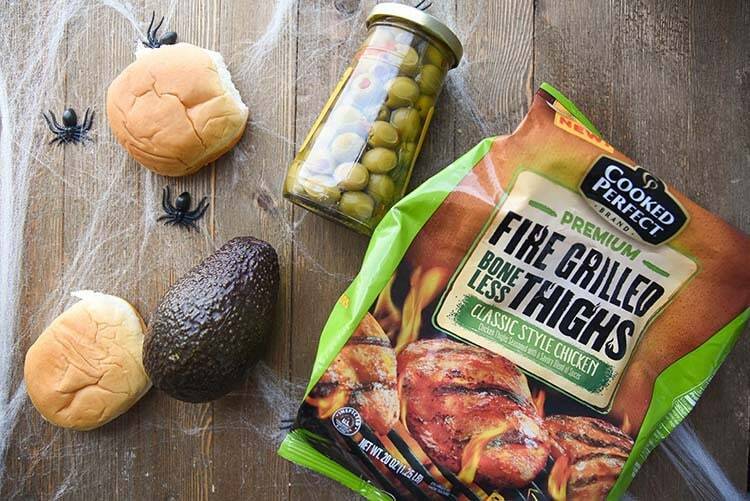 It makes for a great dinner option, not just for Halloween! You can find these and the other flavors in your store’s freezer section. 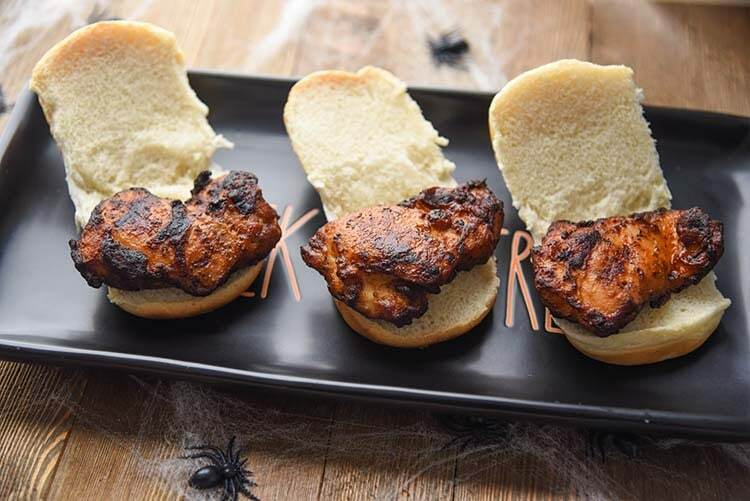 Let kids have fun making our Halloween Sliders! 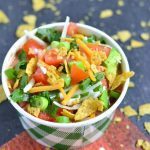 These are so cute, delicious, and extremely fun to make, you can even make them for a fun meal for the kiddos other than Halloween. 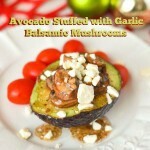 We hope you enjoy this recipe as much as we did! Fun Halloween appetizer for kids and adults. 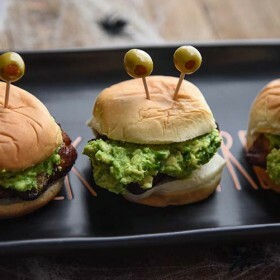 These monster sliders are easy to make and eat! Warm the Cooked Perfect® Fire Grilled Chicken according to package instructions. 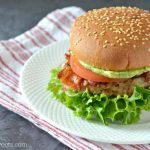 Place the chicken thighs onto the slider buns and top with the guacamole. Once you have the sandwich assembled place toothpicks halfway into the green olives and then top the buns with two toothpicks to look like monster eyes.